Emotive and dynamic design with multiple crystallic elements is inspired in spirit of new design language in SKODA SUV range. 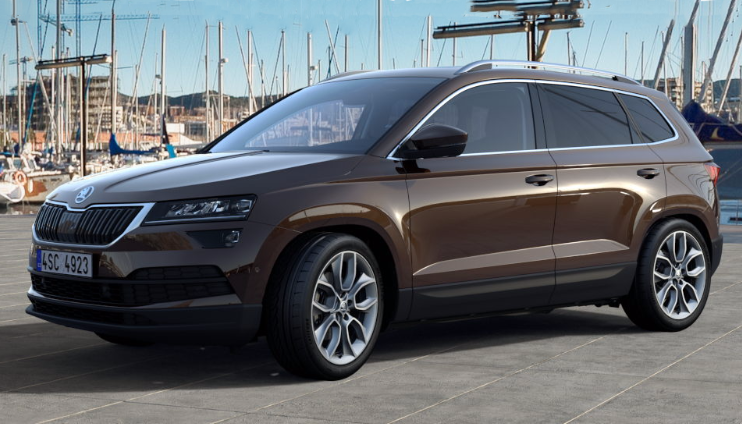 SKODA KAROQ offers generous interior space, as well as spacious luggage space, new assisting systems, full LED headlights and for the first time ever in a SKODA vehicle - digital dashboard. Favourite diesel engine propelling all four tires is light on consumption and offers the needed power for longer trips. The luggage space can reach up to 521 liters of space.